It is not just complaints about goods and services that can be dealt with by Alternative dispute resolution. Customers may complain about access to those goods and services. This has been highlighted by the case which has gone to the Supreme Court concerning wheelchair users and the disabled seating on buses, but which could equally apply to any transport system or service provider. The Claimant, whose case is backed by the Equality and Human Rights Commission, took the bus operator, First Group, to court, saying that it had breached its duty under the Equality Act 2010 in the way it operated a first come, first served policy for those wishing to board the bus. The practical effect of the Court of Appeal’s decision was to leave wheelchair users “reliant on the goodwill of other passengers, pending legislative reform or improvements to bus design”. Should the complaint succeed then we envisage an increase in complaints about disability access rights. 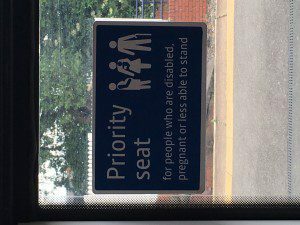 Will the case be decided upon the basis of what the disabled person on the Clapham Omnibus would think? Probably not! These sorts of complaints are commonplace and we would recommend mediation and there is a requirement to provide details of a certified ADR provider to customers in case of a complaint.